Oh my I've been so super busy with life. I can't believe it's already mid October. I remember when I was a kid that time went so slowly. School terms dragged on and holiday's lasted forever. My mum always said times goes faster as you get older, and it's so true! 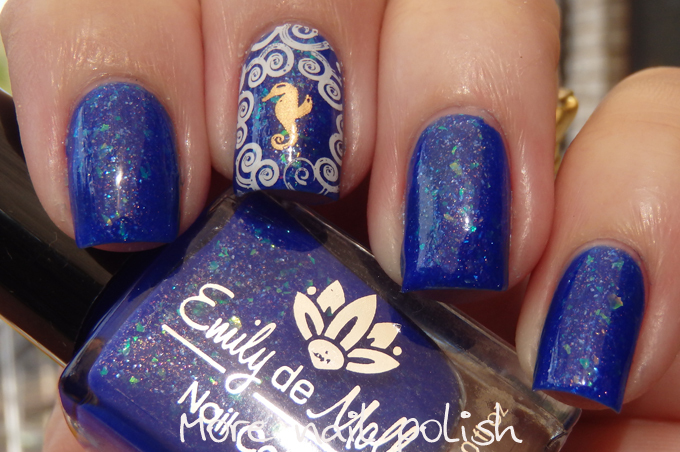 It's time for some new releases from Emily de Molly. These seven new shades will be available from this Thursday 22 October. Lets get straight into the swatches, cause we all know that's what you are here for. 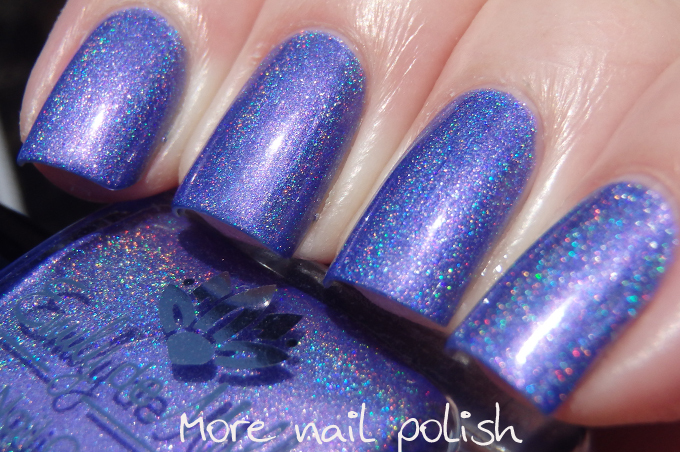 Anywhere but here - a wisteria purple with a metallic sheen and linear holo. 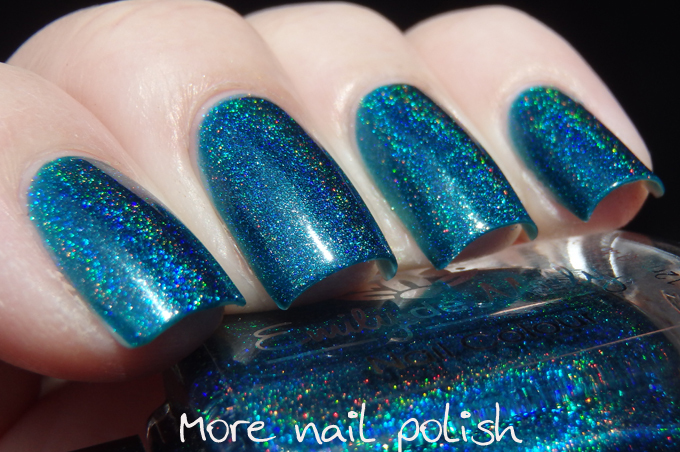 Shown here at two coats with Seche Vite top coat. Worn with some silver stamping using Messy Mansion silver stamping polish. 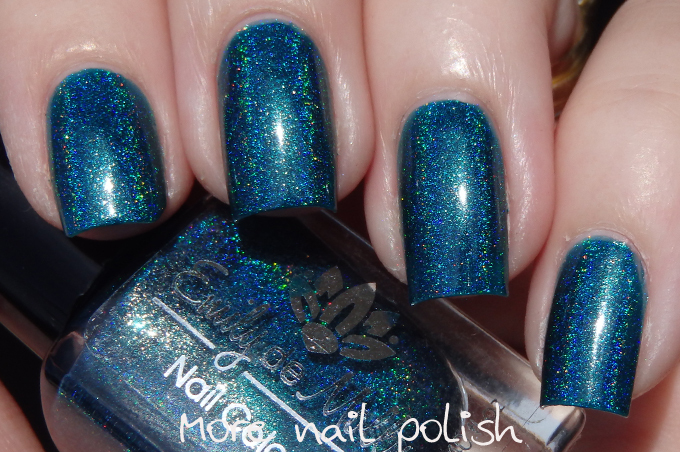 Fixed course - a rich and pigmented teal green with linear holo. 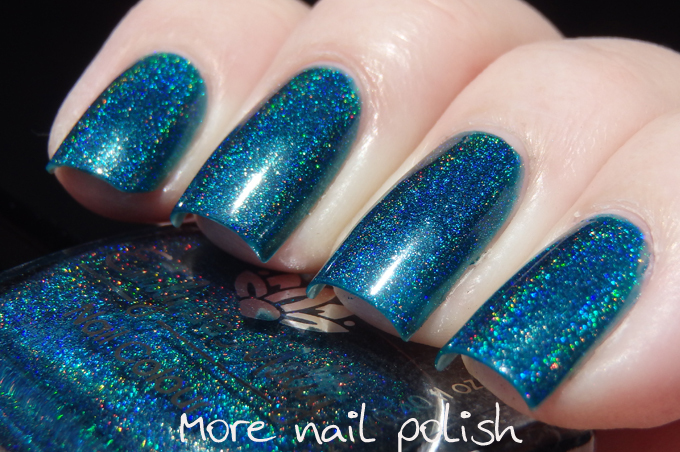 Shown here at two coats with Seche Vite top coat. 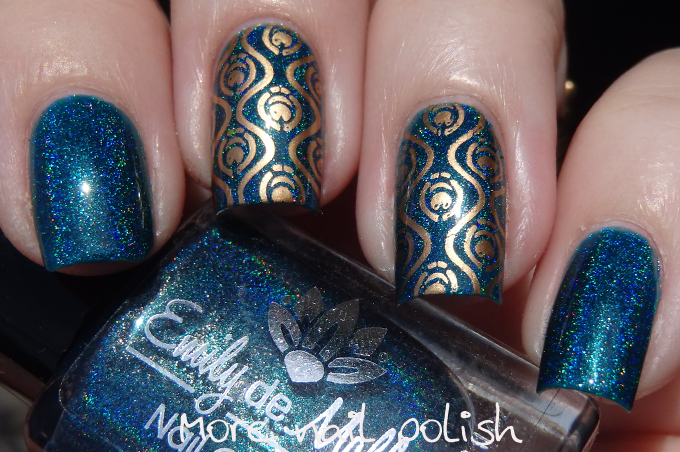 Worn with gold stamping using Mundo de Unas Gold and EdM 04 plate. 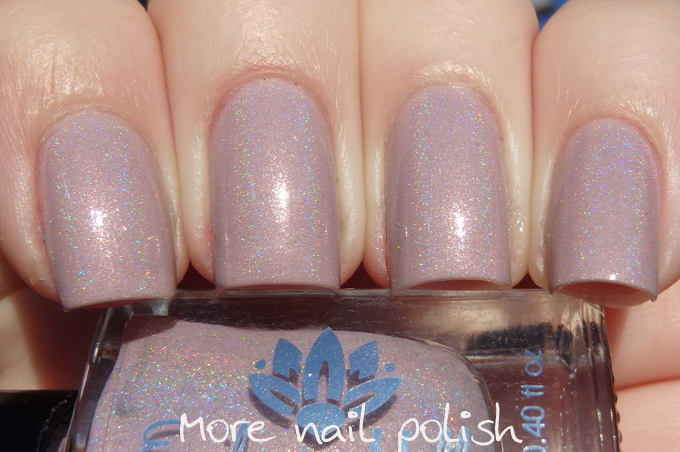 Heavy Aura - an ever so pale, greyed out pink with a liner holo and a golden shimmer. Shown here at two coats with Seche Vite top coat. Worn with black stamping using EdM 05 plate. 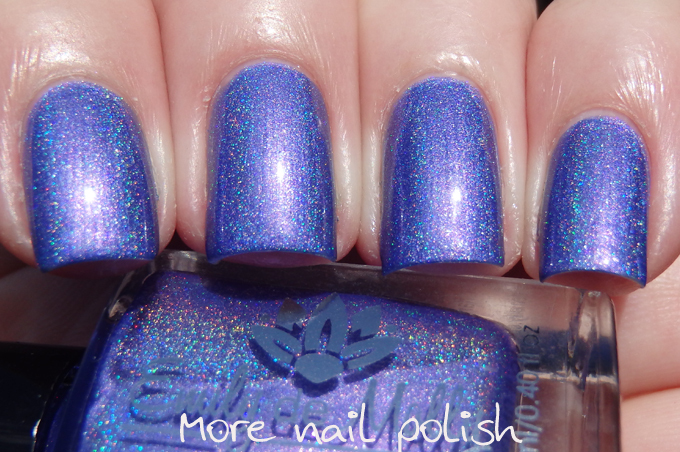 Meet my fate - a royal blue jelly with blue flakies and pinky red flecks. Shown here at two coats with Seche Vite top coat. 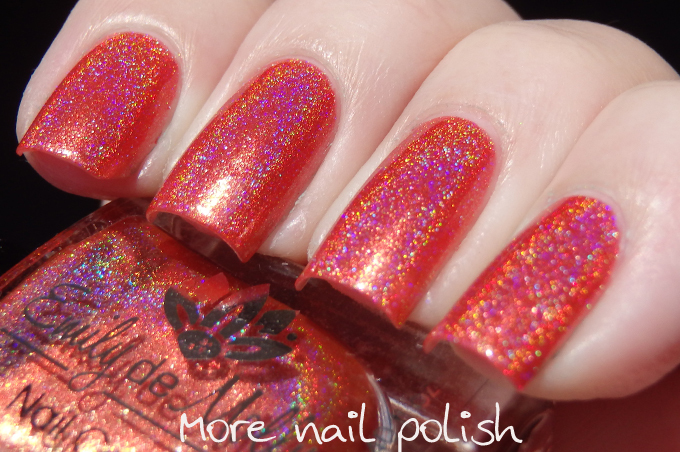 Worn with a feature nail from Moyou sailor 04 plate. 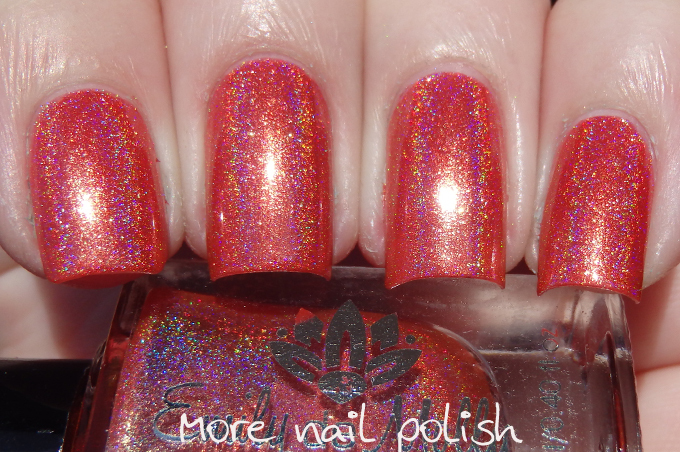 Open Season - a warm purple jelly with blue glitters and red micro glitters. Shown here at two coats with Seche Vite top coat. 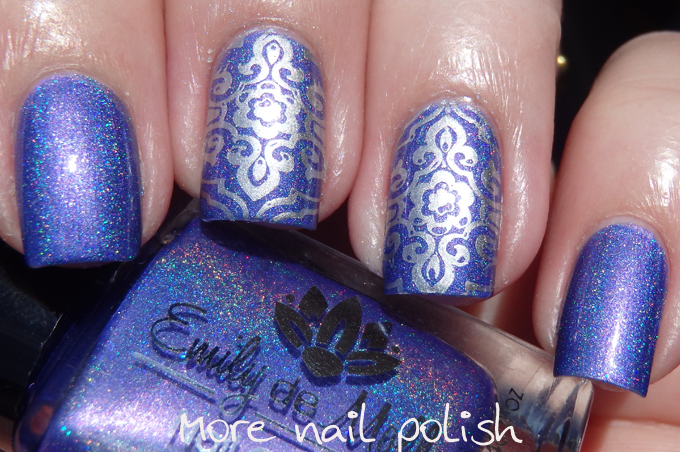 Worn with blue stamping from EdM 21 plate. Scorched earth - I want to call this orange, but it leans pink making it more coral than a pure orange. 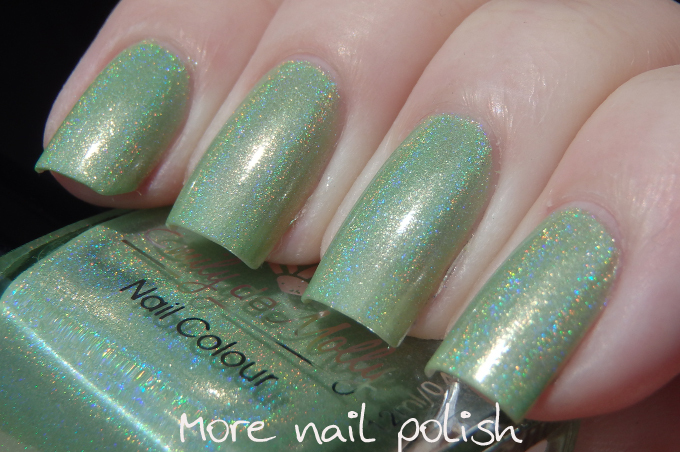 Strong linear holo. Shown here at two coats with Seche Vite top coat. Worn with black stamping from BM-H06 plate. 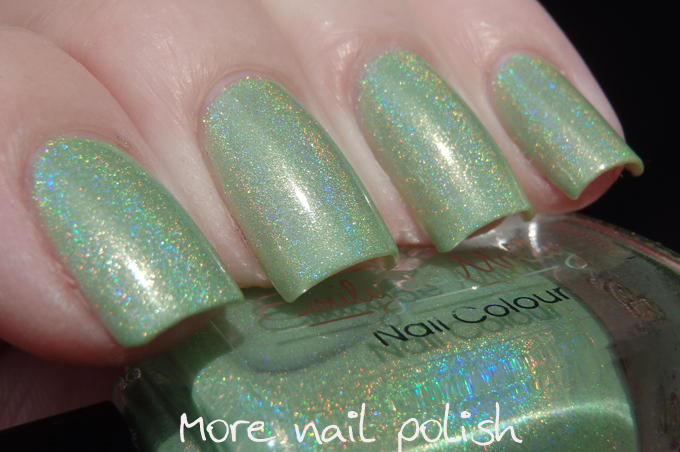 Viridescent - super soft pastel green with a strong linear holo and a golden sheen. Shown here at two coats with Seche Vite top coat. Worn with black stamping from EDM12 plate. As usual, the formula on all these polishes were excellent. They were all opaque in two coats, even the two pastel shades. 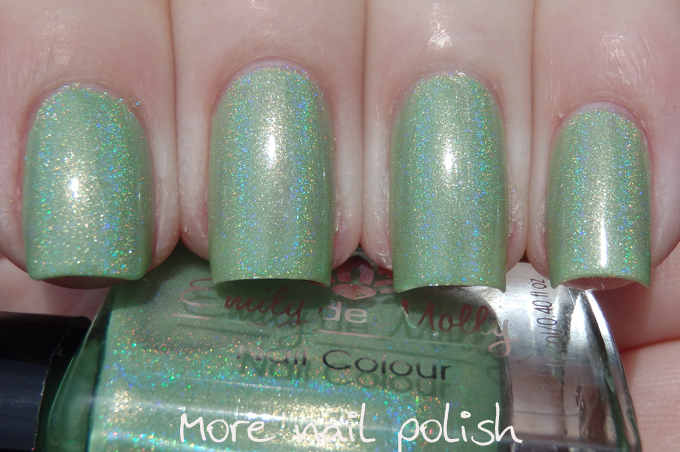 Dry time was also good and I was able to stamp on these very soon after applying Seche Vite top coat. These seven new shades launch on Thursday morning Australian Eastern Daylight Time 22 October on both the Australian Emily de Molly website and the US website at www.emilydemolly.com. Ooh la la, I love that orange!! Scorched Earth and Meet My Fate will be mine! Thanks so much for the great swatches!